The Ritz London is the most family-oriented of London’s luxury hotels. The Ritz London is the most family-oriented of London’s luxury hotels and is next door to the stunning Green Park and a short stroll from a variety of toy stores and tourist attractions including Hamleys, the London Eye, Madame Tussauds and Buckingham Palace. Treat the family to a special time together by staying in our London hotel. Spend time together in one of our luxurious and spacious suites for two adults and two children or two guaranteed interconnecting rooms. Enjoy English breakfast each morning for two adults and complimentary breakfast for two children aged 16 and under. 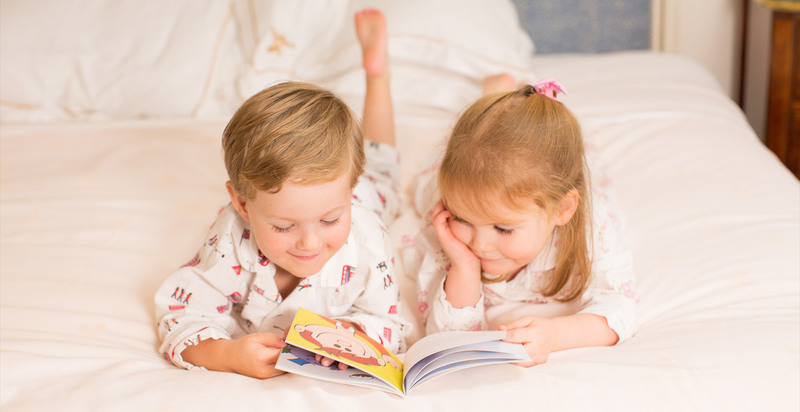 Children will enjoy a special welcome gift and treats at turndown, in-room games consoles, books and DVDs as well as bathroom amenities, bathrobes and slippers. As a special treat, we offer complimentary ice cream in The Palm Court or the Michelin-starred Ritz Restaurant for children. Children’s Room Service and Restaurant Menus are also available. This family package starts from £770 per room per night inclusive of Value Added Tax, based upon two adults and two children aged 16 years or under. This offer is for a minimum of two nights and subject to availability. Please note when you make your reservation for the family package the prices for a Junior Suite and above will display, per room, per night. If you would like to make a reservation for two interconnecting rooms please book two rooms.